Central Park II now known by its new fancy name Central Park Resorts is situated in Sector 48, Gurgaon and by all means justifies the Resort feel attached to it. Designed & planned by the world's largest architectural firm Hellmuth, Obata & Kassabaum (HOK) International Limited, which has the distinction of master planning the Dubai Marina amongst other prestigious projects has left no stone unturned in making the project a real jewel amongst the ordinary projects on Sohna Road. Central Park Resorts has entry from Sohna Road as well as from the other road leading to Hero Honda Chowk giving it a clear accessibility advantage and super connectivity to NH8. 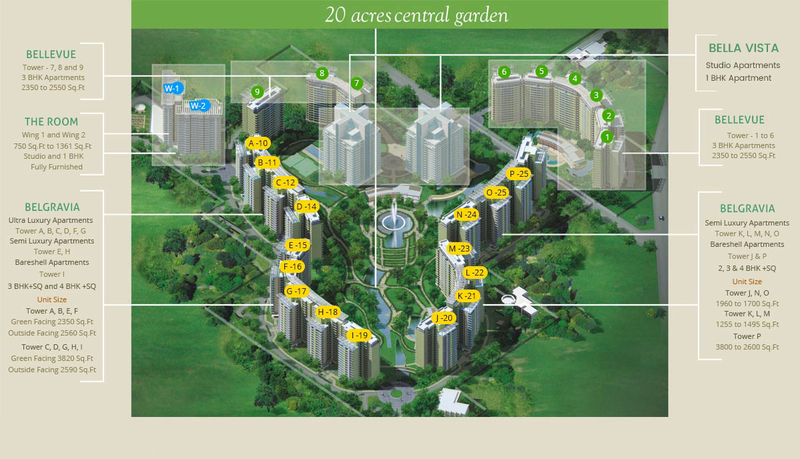 Central Park Resorts has various options to choose from in terms of sizing on the apartments and specifications. Starting from 1 BHK studio apartment to lifestyle luxury penthouses it has something to offer for all classes and tastes.